The Real Housewives of Orange County viewers can usually depend on Tamra Judge to stir the pot. Not only that, but the pretty much no one gets away with challenging Tamra on this show so the pot stirring just continues. Gina Kirschenheiter called out Shannon Beador for being a “bad” friend to Tamra. Tamra didn’t say a single word. She just handed Gina the gun, gave her some bullets, and then walked away as if she didn’t egg this all on. Tamra has told every cast member this season that Shannon is self-involved, doesn’t give her enough as a friend, and did not check in when her husband was in the hospital. Now she’s throwing Gina under the bus for repeating her own words. Did Gina Kirschenheiter steal Tamra Judge’s crown as the pot stirrer of Orange County? Or is she simply just keeping it real? Ever since Vicki Gunvalson hugged it out with Tamra Judge and Shannon Beador at the Real Housewives of Orange County Season 12 reunion, she has done whatever she could to make sure she’s not in the dog house ever again to maintain those friendships. Most people watching Real Housewives of Orange County this season have seen the cracks in Tamra and Shannon’s relationship. One one hand, it’s clear that Tamra has truly been there for Shannon, at all hours of the night, as she has pointed out many times. On the other hand, Tamra copped to “enabling” Shannon because she “feels sorry for her” during a conversation with Emily Simpson and Gina Kirschenheiter. Tamra also told the other ladies that Shannon was not there for her when her husband Eddie Judge was in the hospital. Short story long, Tamra talked about her issues with Shannon to everyone who would listen. Gina brought this to Shannon’s attention multiple times and now Vicki is questioning Gina’s motives. Is Gina Kirschenheiter a pot stirrer or is she just calling it like she sees it on Real Housewives of Orange County? Vicki Gunvalson thinks the newest Housewife is trying to “make a mark” on the show; i.e. she thinks Gina wants to get asked back for a second season. 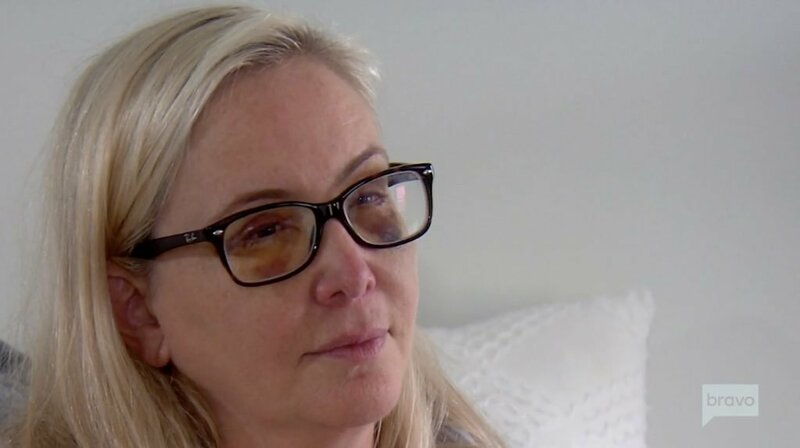 During the last episode of Real Housewives of Orange County, Gina went to Shannon Beador, while Shannon was recovering from plastic surgery, to let her know what Tamra Judge said behind her back. That definitely wasn’t the best timing. Not only that, but Gina went to bat for Tamra during the cast trip in Jamaica when she called out Shannon for being a “bad friend” to Tamra. Whose side is she on? It’s a little confusing, but Vicki is convinced that Gina is #TeamGina, meaning that she is just looking out for her (possible) future as a Real Housewife. Ugh, I am tired of talking about Shannon Beador! 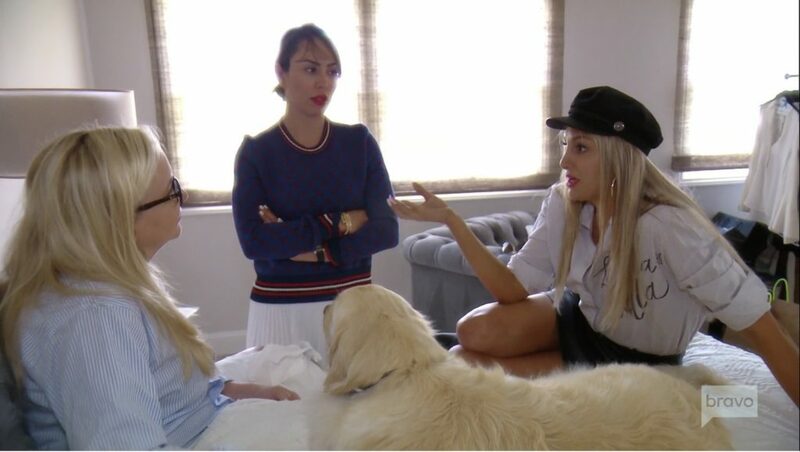 It’s literally the only topic of conversation on Real Housewives Of Orange County and to be honest, Shannon and her histrionic meltdowns are just not that exciting after 4 seasons of watching them. The other big thing that happened was that Vicki Gunvalson altered her face again, so woohoo! At this point how does TSA even verify her identity??? This time Vicki is having her jaw lifted so she doesn’t have saggy chinskin being that she’s in denial about looking like the grandmother she is. And also because according to Gina KirschenDOstopspeaking the second you walk through the gates of Coto you sign your life away to Botox. And probably Vicki has done so much of it, she’s now immune. Unfortunately for Gina Kirschenheiter, she hasn’t received a warm welcome from everyone in the Real Housewives of Orange County cast. Fortunately for Gina, Shannon Beador’s icy reception gives her some material for a storyline. Both Shannon and Gina are going through divorces, so it could have been easy to bond over that, but it hasn’t happened. At all. During the last RHOC episode, Shannon admitted that it is hard to hear about how peaceful Gina’s divorce is going in comparison to her own tumultuous split. Reality Star Sightings: Darcey Silva, Melissa Gorga, Bethenny, Jackie Goldschneider and More! We’re kicking off this Monday with a brand new photo roundup. The Real Housewives of New Jersey stars are doing a lot of press as they get ready for the premiere of the new season this week. Jackie Goldschneider, Margaret Josephs and Melissa Gorga stopped by the Build Series to dish on the show. The Real Housewives of Orange County newbies Gina Kirschenheiter and Emily Simpson hung out together over the weekend. They were photographed at the grand opening of Beauty Kitchen Boutique in Boulder City, Nevada. We also have a sighting of 90 Day Fiance star Darcey Silva. Darcey was rubbing elbows with RHONJ’s Dolores Catania at her “Ladies Night Out” event in NYC. Kim and Kourtney Kardashian got glammed up and hit the red carpet for the 2018 LACMA Art + Film Gala at LACMA in Los Angeles. Check out these and more pics below – including Bethenny Frankel, Lisa Rinna and more! Reality Star Sightings: Brandi Glanville, The Vanderpump Rules Men, Shannon Beador, Kelly Dodd and More! We made it to Friday, y’all! To celebrate the weekend’s arrival, we have an all new reality star photo roundup for you! 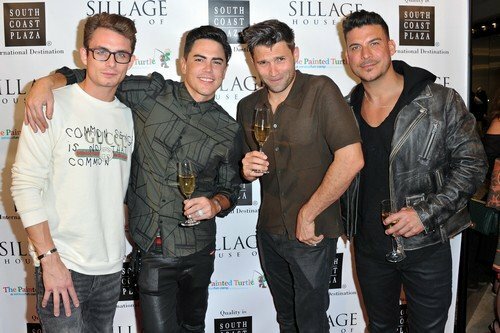 If you are a Bravolebrity, the place to be last night was the House of Sillage Holiday Boutique Launch! The event brought out reality stars like the Vanderpump Rules men: James Kennedy, Tom Sandoval, Tom Schwartz and Jax Taylor. The Real Housewives of Orange County stars Shannon Beador, Kelly Dodd, Gina Kirschenheiter, and Tamra Judge also turned out for the event. And former Real Housewives of Beverly Hills star Brandi Glanville was spotted, too. In our latest gallery, we also have Kandi Burruss doing a little Real Housewives of Atlanta press in California. And there are a few Halloween snaps, too. Check out all of the new photos in the gallery below! Which Bravo star looked the best at last night’s event? If anyone knows what it’s like to be on the outs with the Real Housewives of Orange County cast, it’s Vicki Gunvalson. Now it’s Shannon Beador’s turn to be at odds with everyone in the cast. She had a meltdown during the cast trip in Jamaica and got into it with every single cast member before she disappeared for a day. To make matters worse, this all went down when they were suffering in sweltering heat devoid of air conditioning. It felt vicariously awkward to watch, so I cannot imagine actually being a part of that situation.